Founded in 1925, Mallory Alexander International Logistics is a fourth-generation company with more than 400 employees and 14 offices and numerous warehouse operations throughout the United States and Southeast Asia. What started as a modest enterprise with 200,000 square feet on Florida Street in Memphis has grown into a leading international third-party logistics provider and single source that satisfies even the most complicated of logistics and supply chain needs. Mallory Alexander is a large private company in Memphis with revenue in 2010, estimated at $150 million. Originally called Memphis Compress and Storage Company, the operation met the storage and handling needs of area cotton merchants and producers. The company diversified to serve more industries in the 1960s by establishing a warehouse to store and handle general merchandise and expanding its services to provide local truck delivery. 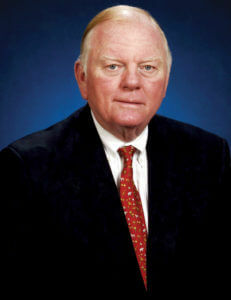 Under CEO, Neely Mallory, Jr., in the 1970s, the company entered the contract warehousing business and acquired an established international freight forwarder specializing in air and ocean shipping. The firm continued to add state-of-the-art services, including customs brokerage and domestic airfreight. Mallory Alexander is proud to work with some of the largest companies in the world, including General Electric, Pfizer, International Paper, Estee Lauder, and IBM. The company’s Fine Arts Division provides door-to-door movement of many of the world’s largest fine arts treasures. The company handles the export of 75% of the cotton leaving the U.S.
W. Neely Mallory, Jr., was the first inductee into the Cotton International Hall of Fame for his contributions in streamlining the flow and handling of American-grown cotton. Mallory is a former president of the Cotton Warehouse Association, Memphis Cotton Exchange and the National Cotton Council and a former grower, ginner and warehouseman. Mallory is also involved in the community; including service on the Board of Directors of Dixon Gallery and Gardens, Carnival Memphis and a former Trustee of Rhodes College and many more. He is a former President of Future Memphis and Chairman of the Memphis and Shelby County Port Commission. Company known in trade as Mallory Alexander International Logistics. Company is in the business of domestic and international shipping, custom clearance, public and contract warehousing.